A new TV ad produced by a Republican Governors Association super PAC. Following Tuesday’s primary, the Republican Governors Association wasted little time jumping into Vermont’s gubernatorial race. 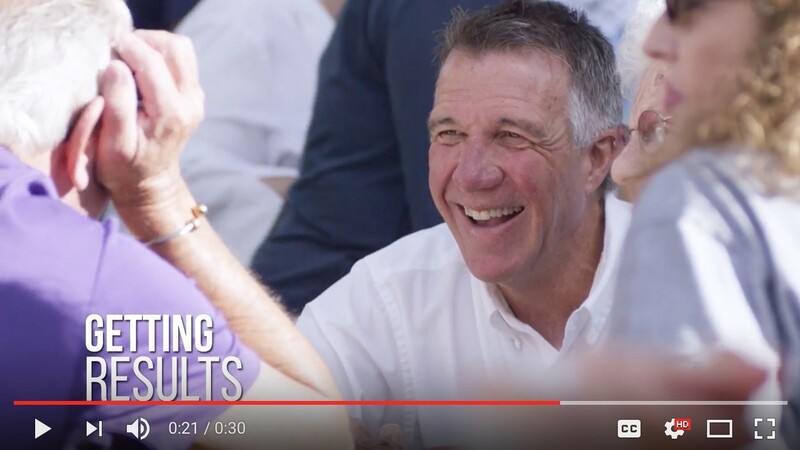 The next day, the Washington, D.C., organization released its first television advertisement in the race — and pledged to make a “significant, six-figure buy” to air the ad in Vermont. “The RGA sees Lt. Gov. Phil Scott as an extremely strong candidate and the Vermont governor’s race as a prime pick-up opportunity for Republicans,” RGA spokesman Jon Thompson told Seven Days. “Vermont has some challenges, but when we work together, we can do great things,” its narrator says over images of Scott marching in a parade. Thompson said the ad would debut on television Thursday, but he declined to specify how much the RGA would spend on it. Records were not yet available Wednesday afternoon on state or federal databases. The RGA plans to buy the advertising through its super PAC, called A Stronger Vermont, which would become the fourth such entity to invest in the race. The other three supported Democratic nominee Sue Minter and Scott’s felled Republican rival, Bruce Lisman, in the closing days of the primary. A spokesman for the RGA’s counterpart, the Democratic Governors Association, would not say Wednesday whether it would match the RGA’s buy. But he indicated that the DGA would go to bat for its nominee.